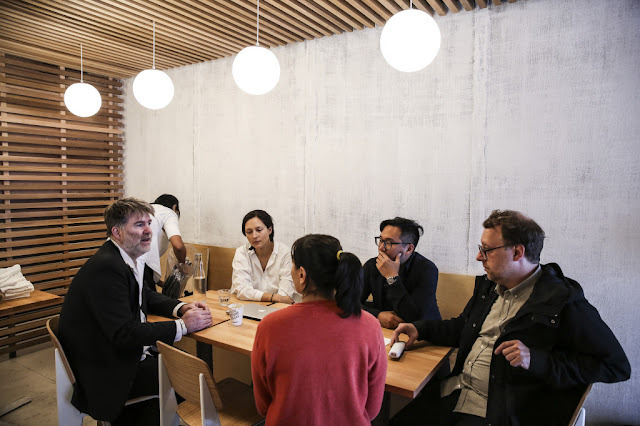 While James Murphy has his hands full with his new wine bar in Williamsburg, he's not letting it completely rule his life. He'll be spinning at Output on June 19, performing back-to-back sets with Eric Duncan which he's done a few times now. Tickets are on sale now. "You can buy $20,000 speakers, but put them in a room that's not right and it sounds terrible," Murphy said. "If you buy $20 speakers and put them in a room that's tuned right, it'll sound great." The acoustics are serious business at The Four Horsemen--and no wonder given Murphy's background. The cedar slats on the ceiling are absorbent, and the burlap on the walls helps, too. "Imagine the wall was a mirror. If you shone a flashlight on it, the light would bounce right back in your face. If that mirror that was a bumpy, chaotic surface like a disco ball, the light would disperse and go all over the place," Murphy explained. As for what tunes will be blaring through the sound system, which Murphy purchased on eBay, Murphy said it'll be whole albums. 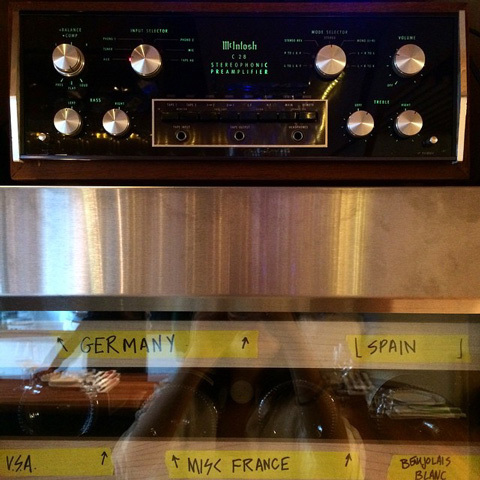 There will be no Pandora or Spotify (he "hates that stuff") and no electronic or dance music. Instead, expect feel-good energetic music, anything from The Monks to Van Morrison.Four Horsemen is open daily at 5:30 PM, with the kitchen open till 11 PM and wine served later than that. Anybody gone already? James Murphy is a genius.